Sixtyish adults who tent camp with grown children and grandchildren ranging from six months to age ten are certifiably insane. But my husband and I reached new levels of lunacy when we accompanied a large percentage of our family group to cave. A forest hike would bond generations, educate little descendants, and keep them off campground roads inhabited by dinosaur-like RVs. They would view a cave like those immortalized in The Adventures of Tom Sawyer, Ali Baba and the Forty Thieves and The Voyage of the Dawn Treader. 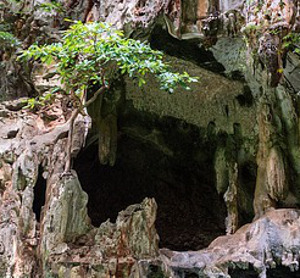 The cave’s yawning limestone mouth featured jagged teeth and an untidy moss mustache. Definitely the setting legends are made of. However, half the campground’s population also had braved this wilderness journey. Unlike Aladdin, we stood in line … then remembered we hadn’t brought flashlights. Despite my Boy Scout husband’s protests, the herd crept forward with only dim illumination from our phones and a son-in-law’s small flashlight. The temperature dropped 15 degrees. Chilly water dripped down my back. Shades of Shelob! With The-Lord-of-the-Rings passion, I brushed him from head to toe. Now shaking off a hundred imaginary crawlies, I fervently wished he’d kept his scientific curiosity to himself. The ceiling dropped. Walls closed in. My hips, still inflated by Christmas fat, might wedge in a fissure forever. 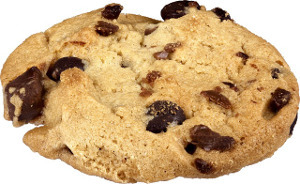 Would my skinnier descendants return to camp, mourning my demise, and console themselves with the four buckets of chocolate chip cookies I had baked? Would they not bring me even one to ease my passage into the next world? Others turned thumbs down. The grandchildren registered a vehement protest. Our son-in-law sided with the kids. He pressed on, taking them and the only flashlight. Now gripping my husband’s belt — I hoped — I trailed him through the darkness. Eventually, we arrived at the cave’s mouth. Whew! Fortunately, they appeared before we summoned the National Guard. Everyone returned to camp to celebrate survival with an appropriately unsafe hot dog roast — and cookies. Have you ever taken your kids/grandkids spelunking? This entry was posted in Coffee Corner and tagged Camping, Cave, children, Family, Grandchildren, Humor, Outdoors, Rachael O. Phillips, Summer on July 12, 2017 by rachael.